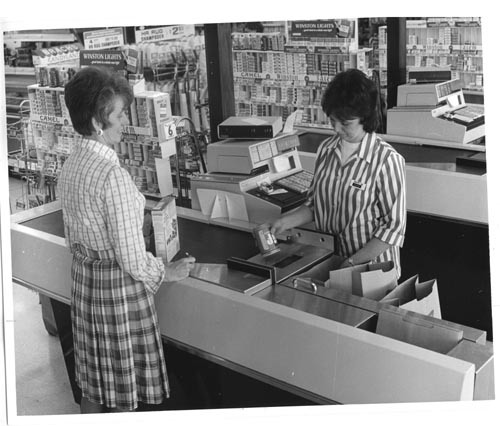 B&W image of NCR Grocery point of sale terminal. A woman sales clerk is scanning a jar of JIF peanut butter while there are other items waiting to be scanned . Awoman customer is watching the process. In the background are several racks of cigarettes.